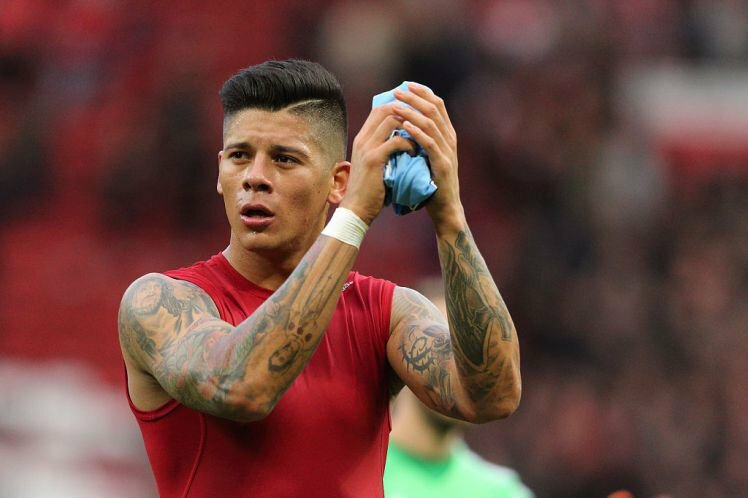 Manchester United defender Marcos Rojo is reportedly on the verge of joining Valencia after the Argentine was told he had no future at Old Trafford. Rojo joined the club two years ago from Sporting Lisbon now he is expected to leave the Red Devils before the summer transfer window shuts down as their manager Jose Mourinho looks to crop his squad. The 26-year-old, who has not played in any of club’s matches so far this season, is deemed surplus to requirements by the Portuguese mentor. According to Deporte Valenciano, Valencia have started talks with United over a possible £10.3m deal, with the La Liga club’s owner Peter Lim having a good relationship with the 20-time English champions. A move to Valencia could also see Shkodran Mustafi to join Arsenal.